I like to make stuff... and things. OK, I admit "stuff and things" is a bit vague. But it's true — I just love to create. I have a passion for taking ideas, concepts and raw materials and turning them into something greater than the sum of their parts. But something tells me you're not here for my award-winning chili recipe or pictures of my most recent Halloween costume. 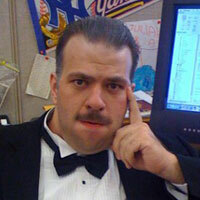 You're likely here to see if I have a very particular set of skills. I've always had a unique way of looking at things, but it's not enough that a design looks good; it has to communicate. Design you can interactic with? How great is that? 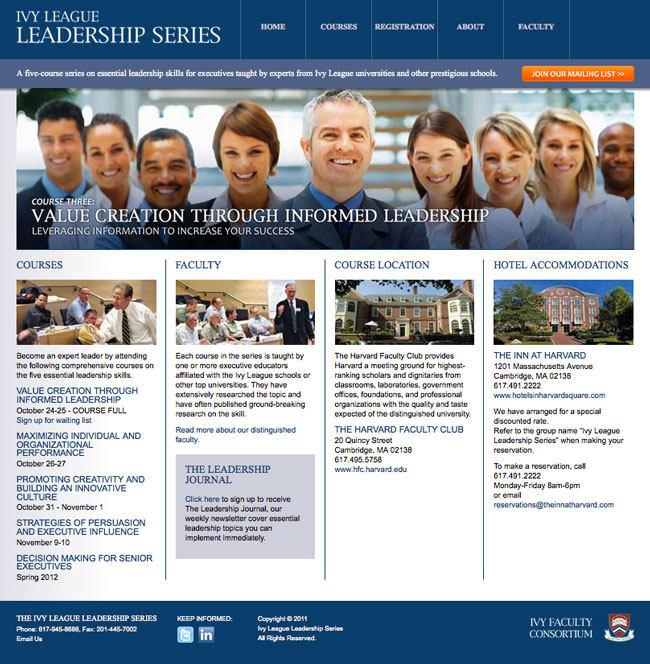 I've been designing websites since all backgrounds were gray and links were blue. We've come a long way! HTML, PHP, CSS - enough letters to fill a bowl of soup. 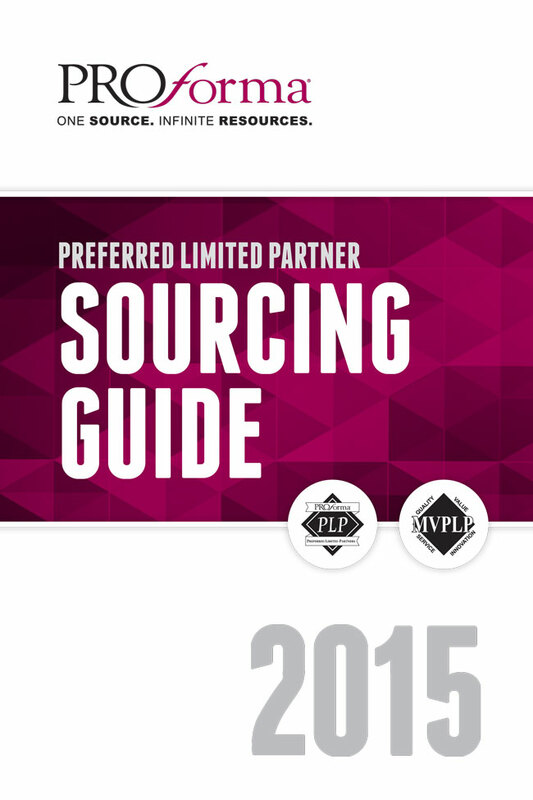 The challenge is combining those acronyms into a delicious experience for your users. If a picture is worth a thousand words, then 23.97 pictures per second is a lot of words. Sometimes, video is the best way to communicate your message. 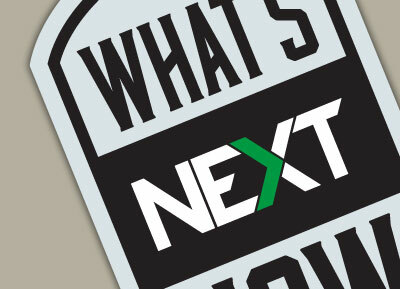 I approach design from a marketing perspective and often walk the lines between the two disciplines. Well, here's twelve of them. Just click a preview image to see more details. You'll also see a brief description of each project, in case a thousand words isn't enough. But where we end up and how we get there is, for the most part, up to us. Sure there will be roadblocks and detours along the way, but how we deal with them helps define us. Fresh out of college and looking for the perfect job to combine my advertising degree with my passion to create, I got a job designing phone book ads. Yeah, remember phone books? I learned that it was possible to design efficiently and expertly in a fast-paced environment. After two years of designing ads, I was promoted to the Creative Services department where we created the phone book covers and specialty ads as well as serving as the in-house design studio. I learned the value of being part of a team, feeding off of others' ideas and growing together. 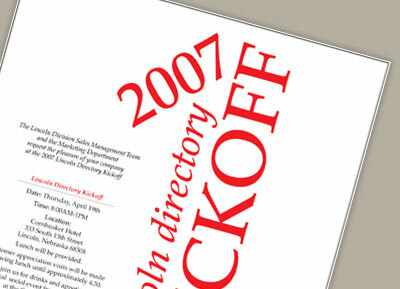 After the sudden, but inevitable, fall of the phone book industry, I did the freelance thing for a while, but emerged a year later, working for a small (only four employees) marketing and design firm. 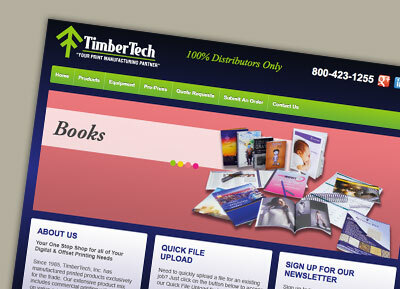 I worked on a variety of print, web and e-mail projects. I learned the responsibility of working in small groups. When it was time to move on from that opportunity, I began to focus more on web and e-mail projects and served as Senior Web Developer and then Director of Web Development at another small agency. I learned that I had the experience to move into more of a leadership role. 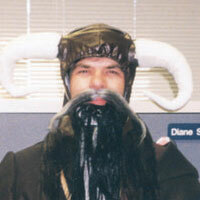 After several years on the agency side, I decided it was time to take my leadership skills back to a large company. As Manager of Digital Media Design, I lead by example on a variety of web and e-mail projects while taking on the occasional special assignment. I learned that you should always be willing to learn new things and develop your skills. Looking for a partner for a creative project? 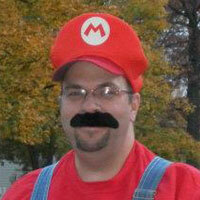 Perhaps you need an experienced web developer? 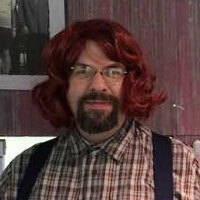 Or maybe you do want my award-winning chili recipe. Drop me a line, I'll be in touch. The Ivy League Consortium, a collection of current and past professors at Ivy League universities, hosted a series of educational courses covering different aspects of management. This site communicated detailed information on the courses and professors as well as allowed interested parties to register directly from the site. 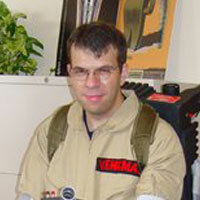 A blog component was also included where the professors could post timely tips and tricks. 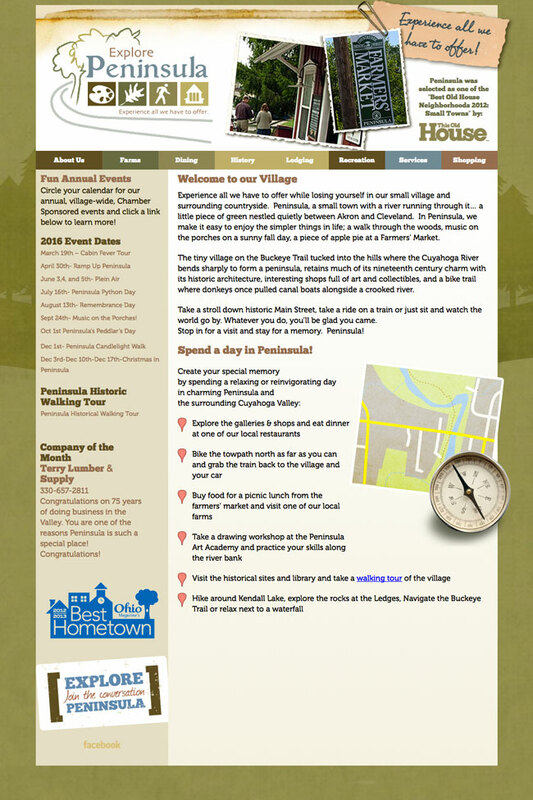 Peninsula is a historic village nestled in the middle of a beautiful national park. 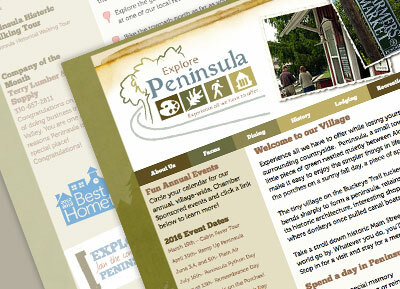 With so many outdoor and educational activities to do in the area, the Peninsula Chamber of Commerce needed a robust website to keep residents and visitors informed of everything the village has to offer. A custom WordPress theme was developed to present all this information in a visually appealing and organized manner. 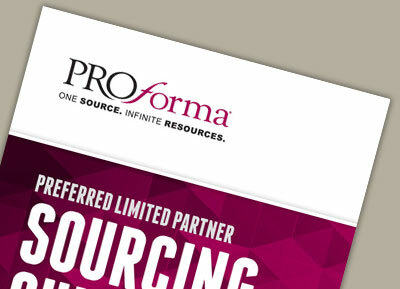 Proforma's network of vendors is unparalleled in the industry, but their annual sourcing guide hadn't been redesigned in several years. This eye-catching design gives this useful tool a fresh, new update. 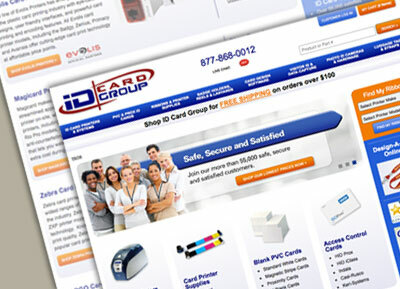 ID Card Group, a manufacturer and distributor of identification products, needed an eCommerce solution to replace their outdated system of taking and fulfilling orders. 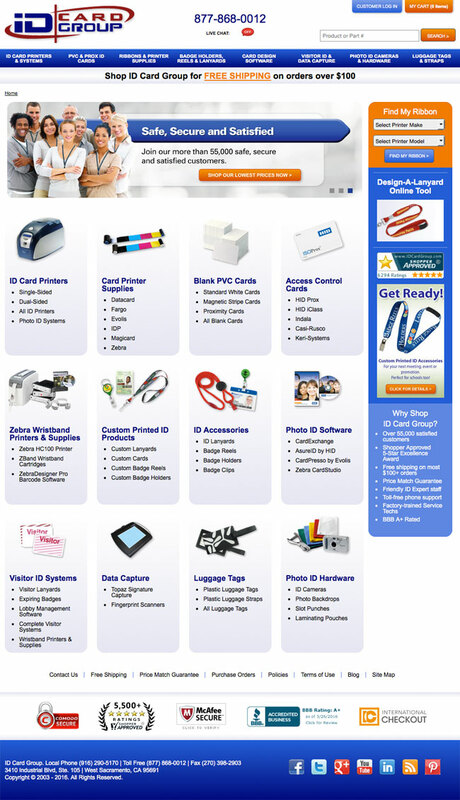 A streamlined front-end was designed and created that helped organize and feature their wide variety of products. 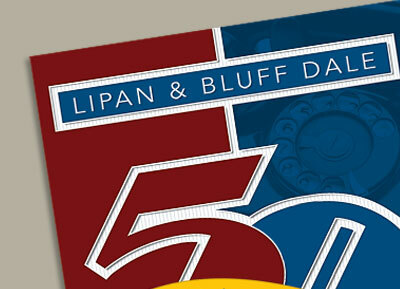 A bold "retro" style sets apart this 50th Anniversary directory cover for the Lipan Telephone Company. 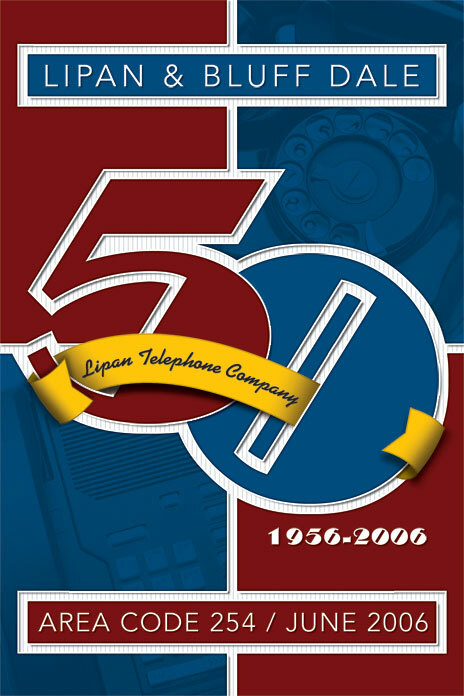 Subtle use of stock photography of period telephones in the blue areas link the company's proud past to its future. 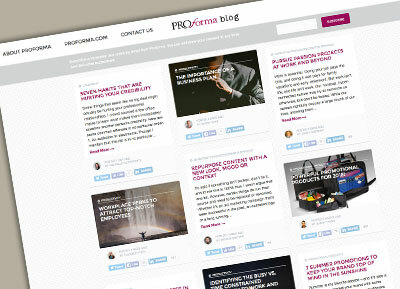 Proforma and their franchise owners take social media very seriously, but their own website and blog were getting a bit outdated. 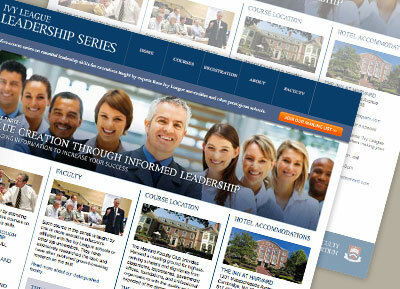 When the website received an overhaul recently, the blog needed one too. A custom WordPress theme was developed that featured a clean design that was responsive — a great way to provide tips and tricks to the company's employees, franchise owners and customers. 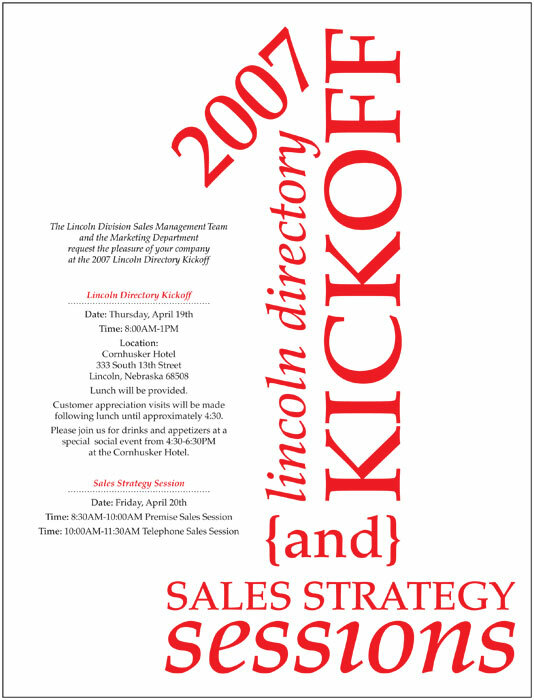 Spirits were high for the kickoff of the 2007 sales campaign for the Windstream Lincoln, NE directory as studies showed that the previous year's edition was the "most preferred" directory in the market. 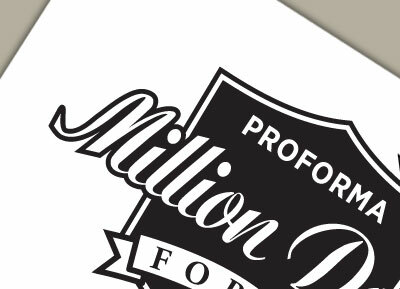 Typography communicates the feeling of being "#1" in a formal way in this piece inviting participants to the kickoff and sales strategy sessions. As more and more users use their phones to check their e-mails, the days of flashy, heavily graphic e-mails are over. 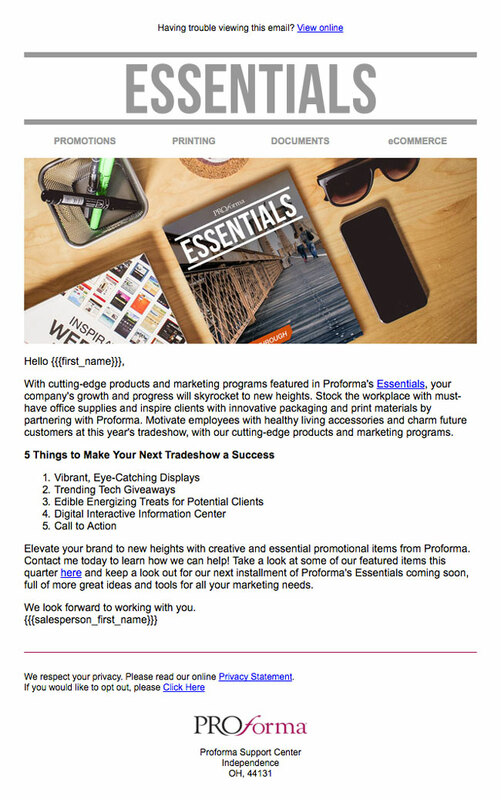 I've been working to encourage Proforma's marketing team to focus on responsive e-mails that look great on any device and increase deliverability and readability. 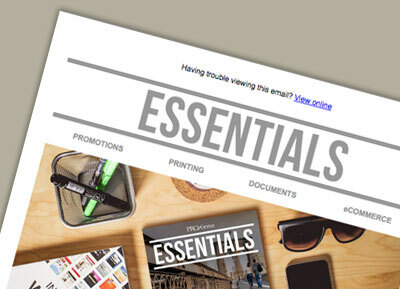 This e-mail was part of a new campaign informing Proforma's clients of the latest promotional products available. 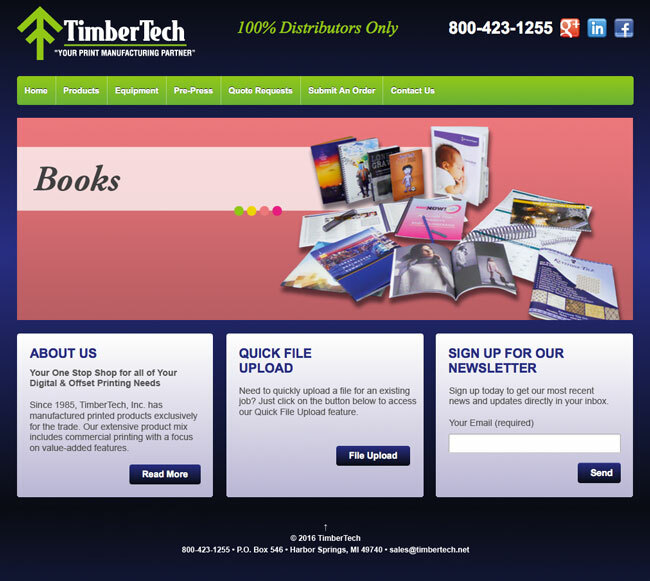 TimberTech had an existing site and didn't want to change the design. However, the technology behind their site was outdated and was missing modern features that they needed in order to stay competitive in the industry. 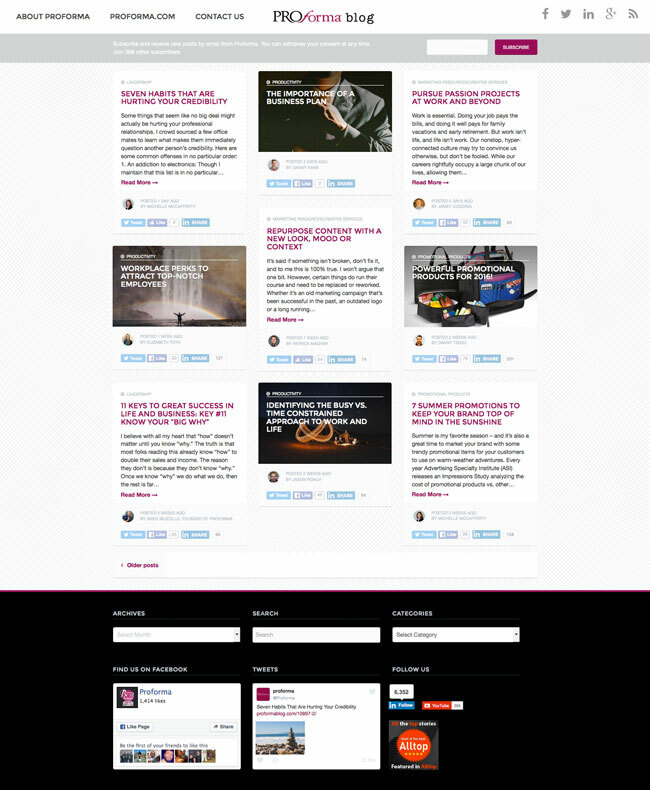 A fully responsive WordPress theme was created based on the aesthetics of their current site. Additional features such as a file upload function were also added. Encourage Kindhearted Giving was the name and slogan of a charitable committee that arranges fundraisers to help local causes. The shape and color of the logo communicate that we should follow our hearts when considering giving to worthy causes. 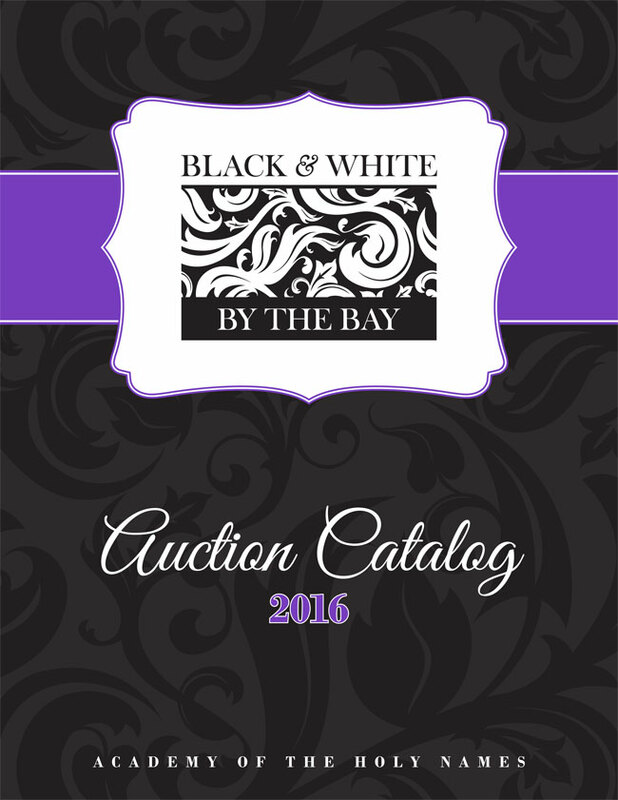 The annual Black & White Auction is, by far, the largest fundraiser for the Academy of the Holy Names. 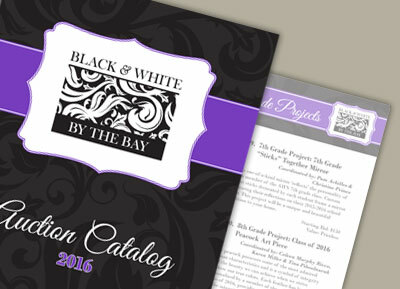 The centerpiece of the event is the 100-page catalog, listing all of the wonderful items put up for the auction, but many other pieces are designed to support the event such as a 10-piece invitation packet, promotional materials and on-site signage during the event. 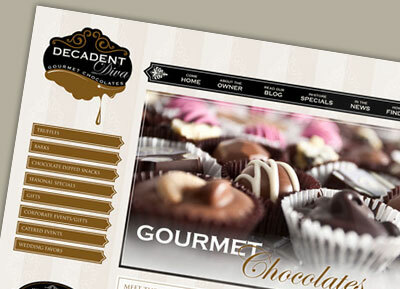 Decadent Diva Chocolates, a small chocolate maker in New York, was looking to extend their reach by selling their delicious candies on-line. 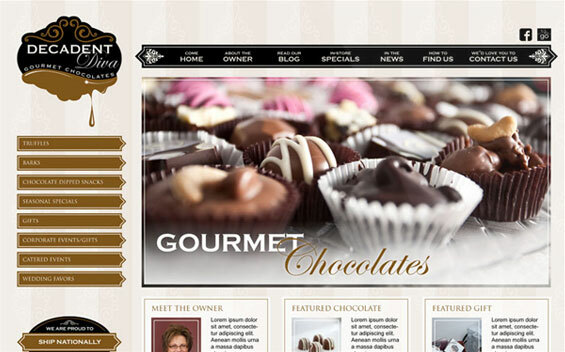 A WordPress eCommerce site was designed with a custom theme to help their business grow. Perry Welding & Machine, a family-owned company with a 40 year history, had never had consistent branding, opting for related clip art to represent their company. 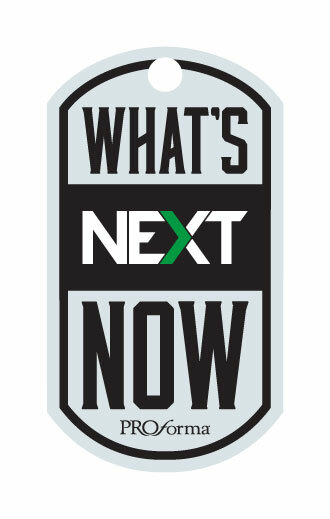 The new logo is bold and will provide consistency and focus for the company as they grow in to the future. 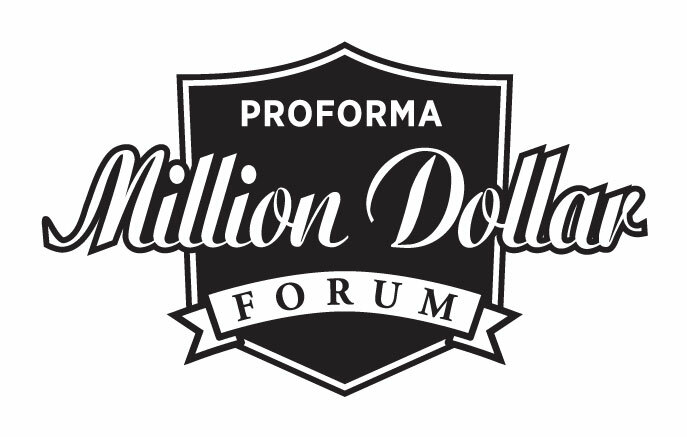 Proforma boasts the largest number of million dollar franchise owners in the industry, so it only seemed natural to provide a on-line message board where million dollar owners and those who aspire to be could exchange tips, tools and best practices. Every year in the Proforma network begins with a series of regional meetings where owners and vendors meet and plan for the coming year. These dog tags were created to coincide with the overall theme of the meetings and keep attendees focussed on the jobs at hand.